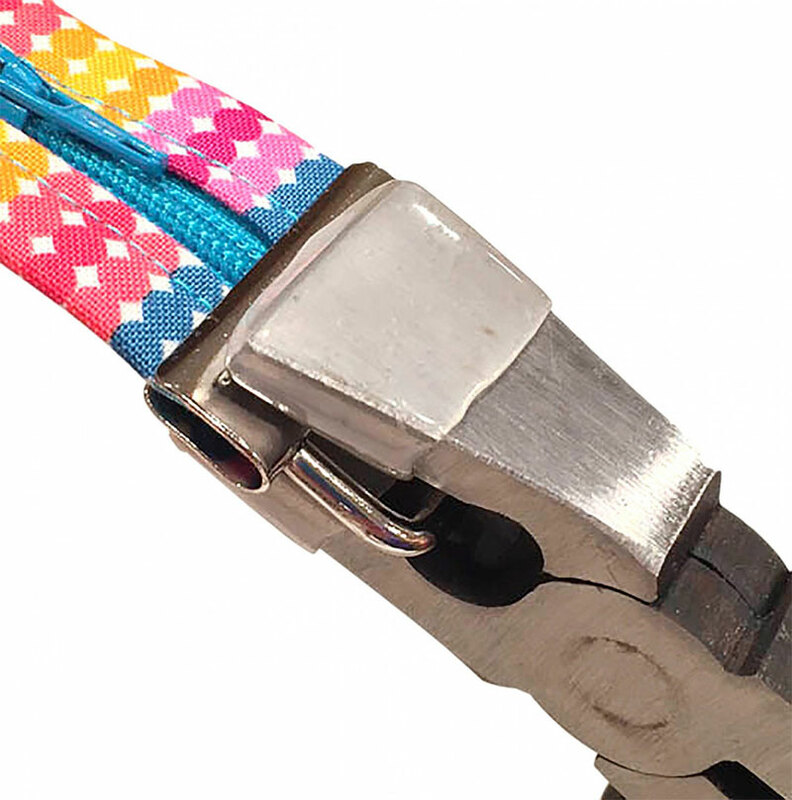 The perfect pliers to easily and beautifully attach Sew TracyLee Bag Strap End Clamps or Key Fob hardware to Lazy Girl Fobio. Pliers' tips are rubber coated to protect hardware from scratching and the ends are wider to provide more uniform pressure across hardware when securing it. 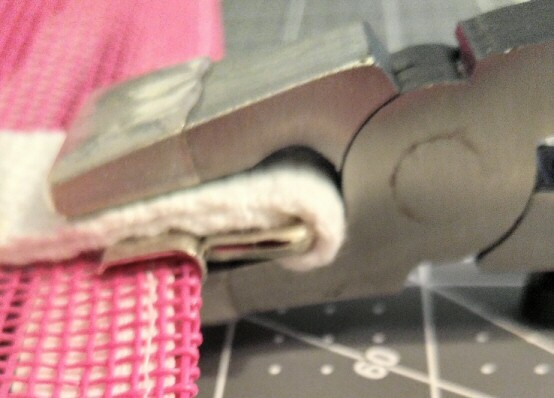 Use with Sew TracyLee Bag Strap End Clamps, available in 3 colors and 3 different pack sizes. Also use this tool with Lazy Girl Key Fob Hardware Refill (LGD711) and Party Pack (LGD712). Great price and excellent and prompt service; will be ordering again.Look forward to using them on the Lazy Girls pattersn.